The United States has dismissed claims that it had prior intel of the DusitD2 hotel attack that left 21 people dead, including one American. 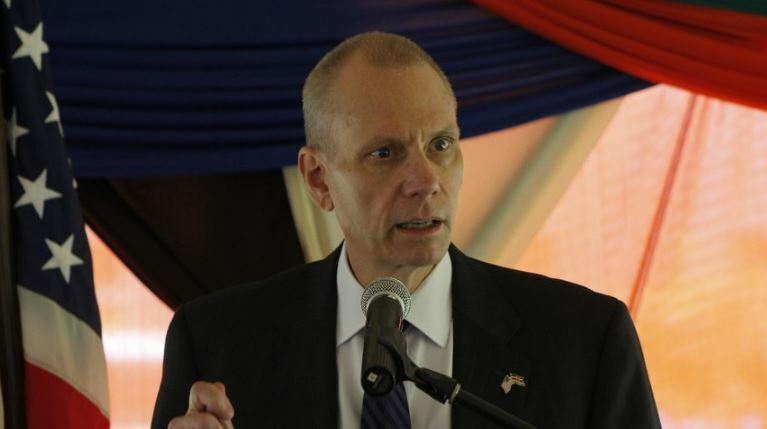 US Ambassador to Kenya Robert Godec Thursday issued a statement responding to reports that circulated on social media that a US delegation that had been booked at the hotel had changed the venue just a day before the attack. Mr Godec further denied that they advised American citizens to avoid the DusitD2 prior to the incident. “Contrary to some false reports on social media, the United States had no advance notice of the attack, nor did we ever advise American citizens or our staff to avoid the DusitD2 prior to the incident,” Mr Godec said. The US ambassador noted that the U.S is working closely with the Kenyan authorities to provide assistance in the aftermath of the Dusit attack. Godec also condemned the spread of misleading information in the wake of the tragedy.